As my Disney World journey continues, I felt it was only right to follow yesterday’s countdown of my favorite Disney movies with a countdown of my favorites from Pixar. I shortened my list from a Top 10 to a Top 5 because Pixar is still a relatively new studio. Though it may be new, it continually produces animated films with both exceptional visual artistry and incredible emotional depth. 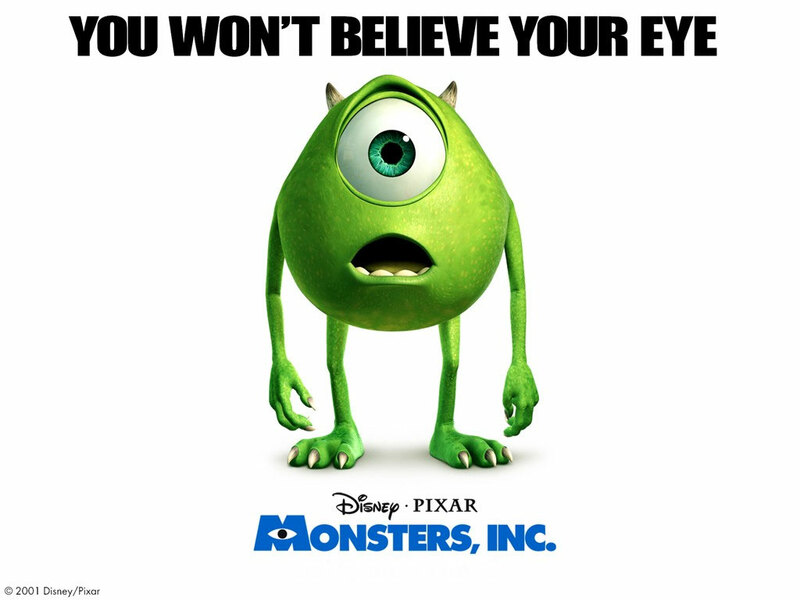 If you can find an adult who hasn’t had tears in their eyes during at least one Pixar film, I’d be shocked. Wall-E is such a quietly powerful and visually impressive film. It’s such a bold, brave movie; it’s a “family film” that spends nearly the first half of its runtime without dialogue and doesn’t suffer at all for it. Instead, the film achieves a level of intimacy that wouldn’t have been reached had the subject matter been approached in a “normal” way. Besides the big risks and big rewards of its first half, the film itself is simply a beauty—especially the gorgeous scene of Wall-E and EVE in space. 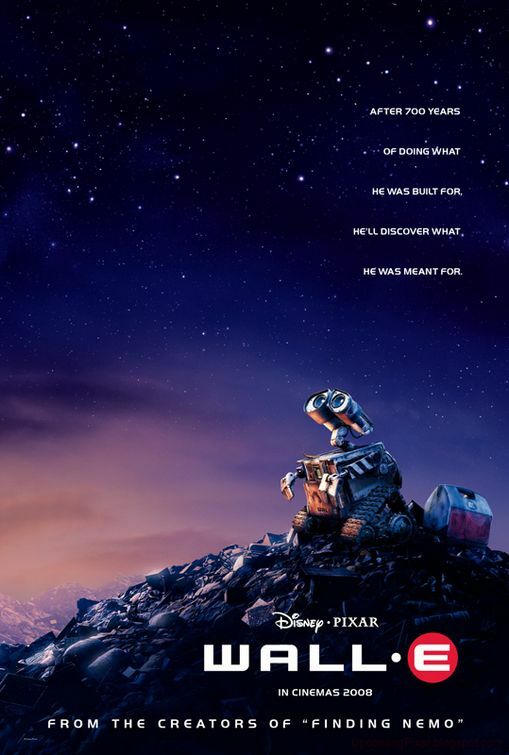 Wall-E is Pixar’s greatest love story and one of the sweetest cinematic romances to come out in recent years. 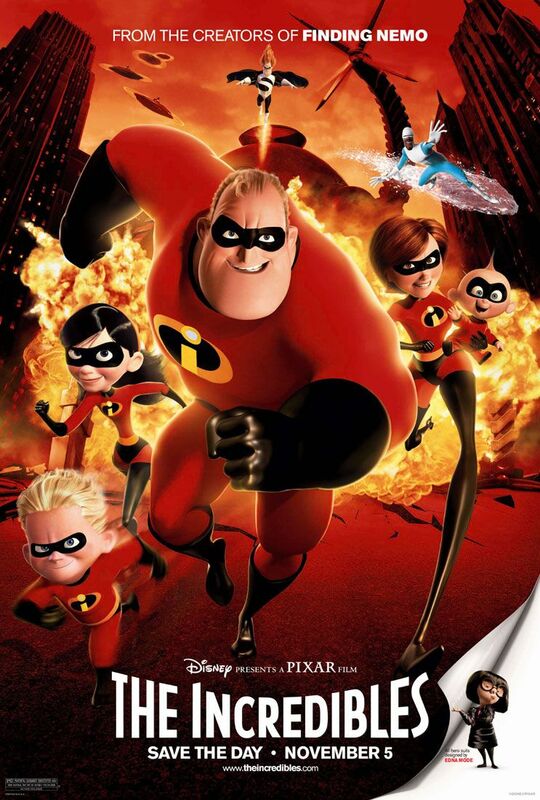 Like Wall-E did with sci-fi movies, The Incredibles takes the superhero genre and gives it a new humanity by turning it into something deeply personal. In this case, the superheroes aren’t just remote figures sweeping in to save the day; they’re a married couple struggling with midlife doldrums and the daily work of raising a family. Yes, this movie is one of Pixar’s most exciting. Yes, Frozone and his wife fighting over his super-suit may be one of the funniest scenes in any Pixar movie. But the thing that really stayed with me about this film is its surprisingly honest depiction of a family…who just happen to be superheroes. Just out of curiosity: Has anyone seen this film and not wept like a baby at the ending? This is the rare third film in a trilogy that far surpassed the first two in terms of quality. 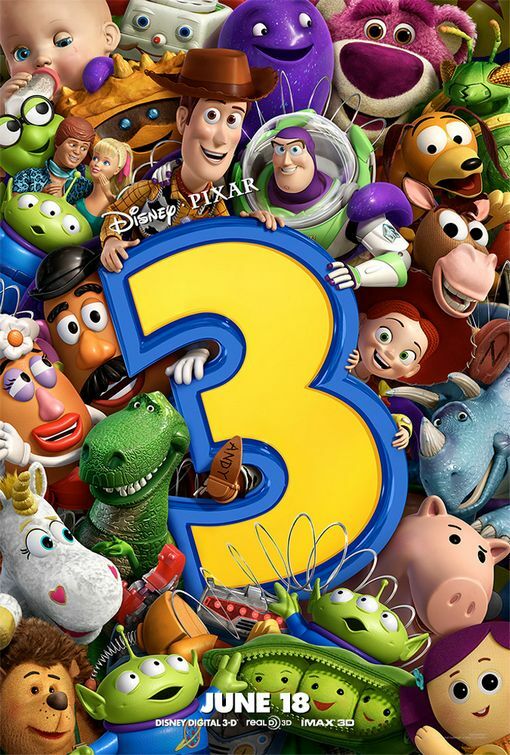 Toy Story 3 is about growing up and moving on, but, in typical Pixar fashion, its message is delivered with just the right touch to keep it from feeling schmaltzy. This film came out during the summer after I graduated from college, and it struck a very emotional chord with me—as I’m sure it did for many who grew up with this franchise. When I think of Pixar’s unique ability to resonate with its audience on a deeply personal level, this is always (and I think will always be) the first film that comes to mind. There’s just something incredibly endearing about this film—something that sticks with you long after it’s over. The concept is so creative; Pixar’s original storytelling was something that drew me to its movies from the very start. But it’s more than just its inventive plot and sense of humor that make this movie stand out. Monsters, Inc. has such a huge heart. It’s a beautifully non-traditional love story, and it’s told in a beautifully non-traditional way. Boo may be one of the cutest animated characters ever, and her relationship with Sulley will always tug at my heartstrings. The ending of this one is another Pixar moment that puts more tears in my eyes the older I get. 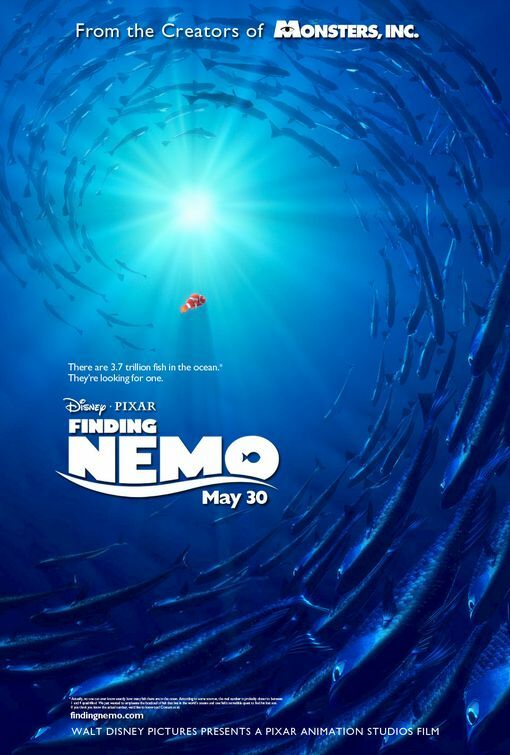 Finding Nemo is everything that’s right about Pixar movies: It’s beautiful to look at, populated by a stellar cast of famous voices, hilarious, and moving in a way that sneaks up on you. This film has its share of funny moments—most of them courtesy of Ellen DeGeneres’s brilliant work as Dory. But more than anything, it’s a film about what it means to be a parent, what it means to be brave, and what it means to love selflessly. Of course—because it’s Pixar—such powerful ruminations on life and love are told in the most creative ways: through encounters with sea turtles that talk like surfer dudes, fish tank friends with various neuroses, and sharks in the middle of twelve-step programs. Finding Nemo makes me laugh, makes me cry, and makes me think more and more as I continue to grow up. That’s what Pixar movies are all about. Now that you’ve seen my list, I want to see yours. What are your favorite Pixar movies? This entry was posted in Disney, Film and tagged disney, film, genre: animated, lists, nerd musings, pixar by Katie. Bookmark the permalink. For me the story of Pixar begins and ends with Toy Story. It is the perfect trilogy and the ending of Toy Story 3 is probably my favorite ending in movie history. The story is wonderful, the characters hilarious and heartfelt. None of the other films have come close, in particular to 1 and 3. The original will always hold a place in my heart because it so perfectly mirrors my childhood toys, bedroom and imaginary play. The third has two wonderful things going for it, an ingenious location in the daycare center and a brilliant concept at the heart of the film about growing up. I like Monsters Inc a whole lot because of it’s sense of innocence and you are correct Boo just might be the cutest character ever. I have high hopes for Monster’s U because I love the idea of a prequel. The Incredibles is fun, but more for its moments than as a whole film. In particular your aforementioned Frozone argument and Edna’s scenes are fall down funny. I am often caught saying ‘I’m sure I don’t know darling, luck favors the prepared’. The Incredibles will always be my favorite – it’s the comic book geek in me – but I really appreciate Up a little more every time I see it.